Can a band be considered to be one of the most successful in the world without ever having had a hit single? The answer is, of course, yes, but the groups that fall into that category are few and far between. Commercial success, in pop music terms, can be distilled essentially down to four categories. First, there are the Hit Makers, those that achieve their greatest chart success with hit singles and massive radio airplay (Madonna, Janet Jackson, Flo Rida). Then there are the Album Sellers, those artists that don’t necessarily have hits on the charts but sell albums by the boatload, (Led Zeppelin, Pink Floyd, Metallica). Then there are the Tops in Touring, those artists who are rarely found on the album or singles charts but who sell out arenas around the world (Dave Matthews Band). And then of course there are those that achieve success in all three categories (Rolling Stones, U2). When it comes to pop hits, however, the Album Sellers and the Tops in Touring almost always have had at least a few chart smashes to help solidify their place in the rock and roll pantheon, for example Led Zeppelin’s Whole Lotta Love and Pink Floyd’s Another Brick in the Wall. The most notable exception to this rule (for many years at least)? The Grateful Dead. Probably the most successful touring band ever in the US, the Grateful Dead formed in 1965 in California and are considered one of the key architects of the psychedelic rock sound that defined the counter-culture San Francisco music scene of the late 1960s. But unlike many of the bands of that era, the “Dead” (as they are commonly known) played and recorded highly original music that spanned the entire pop and rock spectrum with elements of country, jazz, space rock, bluegrass, blues and reggae. In particular, they were known for their live shows, which featured lengthy and colorful and psychedelic instrumental solos. Based on these performances, within a few years via word-of-mouth they had become one of the most popular concert draws in America, becoming the de facto leaders of the jam band movement and attracting their own cult of concert followers, known as “Deadheads.” Deadheads would follow the band from show to show over entire concert tours, forming their own pre-concert parking lot communities where tie-dyed t-shirts, vegetarian burritos and mind-altering substances were exchanged freely and frequently. And there were even subcategories of Deadheads, including the “Twirlers” (Deadheads who would spin in wild interpretive dance fury to the Dead’s music, albeit mostly out of time) and the “Scarvers” (same as the Twirlers, but with the added freestyle dance-accessory of a multi-colored scarf). Deadheads were frequently derided by the mainstream public, who viewed their antics as an unwelcome offshoot of the hippie movement (the overwhelming use of patchouli by many of them didn’t help). The Deadheads and the Dead didn’t care, however – all of these concerts (at least 2500 according to some accounts) and fans led to album sales of over 35 million, but only a handful of mid-charting pop hits, most of which were released on the Warner Brothers label in the early 1970s. By 1977, the band seemed destined to remain a cult favorite touring band, albeit a highly successful one. Enter Clive Davis. The pop svengali best known for his mentoring of Barry Manilow and Whitney Houston would seem like an unlikely match for the trippiest band in the market. Yet Davis was nothing if not a savvy businessman, and knew that big concert audiences could lead to big album sales. According to Davis, the Dead had become frustrated with their album sales on Warner and had decided to sell their next release out of Good Humor Ice Cream trucks. Davis told them not to do it, and the band, trusting his good judgment, ended up signing with Davis’ label Arista in 1977. The Davis partnership was a successful one: the band’s albums over the next decade sold well but were generally hated by fans because of their overproduced style and pop sensibilities. The band doubled back on touring, but Arista encouraged them to continue to record songs that could be hits. In 1986, after a recording hiatus of a few years, the Dead entered the studio to record what would become their biggest selling album ever, In the Dark. 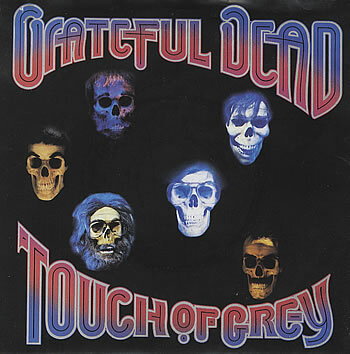 The first single, Touch of Grey was a song that the band had played over 21 times in concert over a three year period from 1982 on but had never recorded. A catchy jam with an uptempo beat uncharacteristic for the band, it was partly recorded as a tribute to one of the band’s founding members, Jerry Garcia, who had slipped into a diabetic coma (with a full recovery) just before the song’s recording. The chirpy chorus – “I will survive, I will get by” was somewhat offset by the black humor of the video for the song, which featured a performance by animatronic skeletons representing band members. For non-Deadheads, the song was a fun, fluffy summertime jam featuring bells and perky instrumentation that sounded perfect next to a beach towel and a wine cooler. It was an immediate hit, soaring to the US top ten in the late summer of 1987. The song’s success had an exponential impact on the Dead’s concert attendance, bringing in multitudes of new fans who were late to the tie-dyed party. Longtime fans were chagrined, however, as they hated this influx of newbies and the pop sensibilities of the single and labeled the new fans “Touchheads.” The Dead ignored the criticism, however, and continued to play the song regularly in concert. Not included in the Touch of Grey party, however? British fans. Despite the wide-ranging appeal of Touch of Grey and other songs, the Grateful Dead remain hitless on the UK singles chart, although they have made the album countdown. But the band has had the last laugh – it has briefly reunited for a series of concert shows this month in the US (with Bruce Hornsby on keyboards!) in celebration of the band’s 50th anniversary. The concerts sold out in a matter of minutes. Who could sing this today and have a hit? Add a few banjos and you have Mumford and Sons’ first no.1 hit. 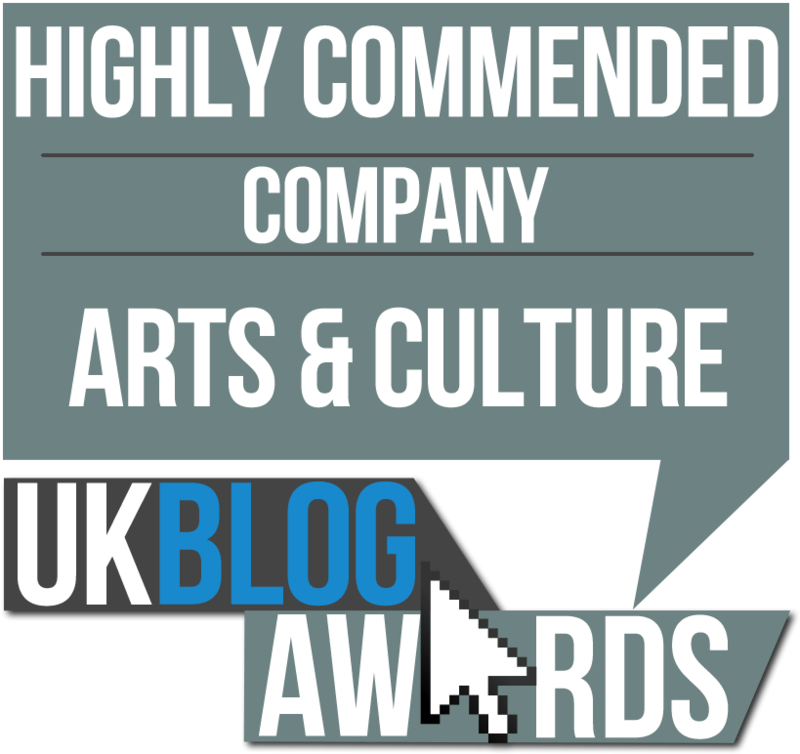 Great piece, Dan! I am always amused that the fans hated the “over produced” albums of that period when you consider that none other than Little Feat’s Lowell George produced the seminal 1978 album Shakedown Street, one of the first Arista releases from the Dead. George, whose excessive lifestyle shocked even the Grateful Dead members, who were famous for that themselves, would die only a year later of a heart attack complicated by drug addiction. He did not survive, did not get by, but he produced a great album for the Grateful Dead, largely thanks to Davis. The two Dead LPs of 1987 and 1989 [Built to Last being the other] are quality rock records.